In Greek mythology, ASTRAEUS, father of the four wind gods and the stars, was an astrological deity known as the god of the dusk. Appropriately he married Eos who was the goddess of the dawn. Together they had many children, one of whom was named Boreas: god of the cold north wind, which howls relentlessly through Waterkloof’s vineyards and so defines the character of our grapes and resulting wines. While many people believe Waterkloof’ logo depicts a blowing man, it is actually a blowing god – Boreas. 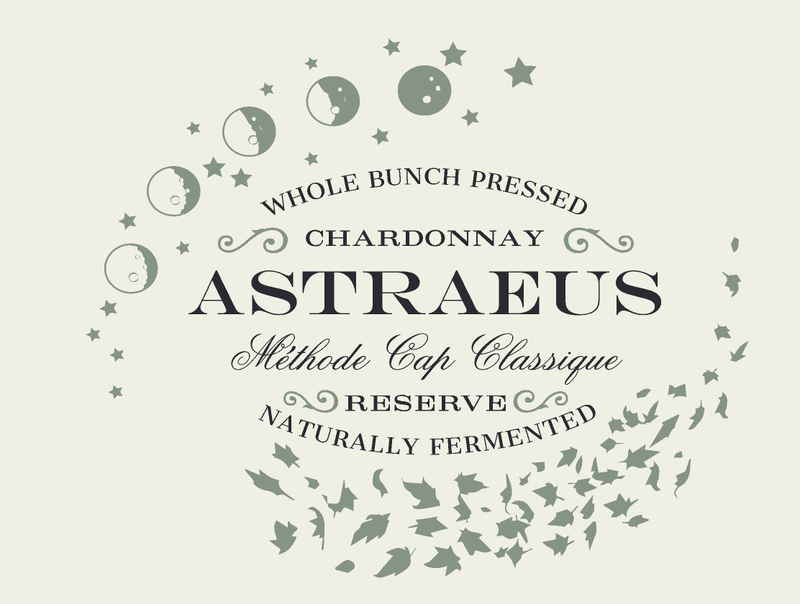 The grapes for Astraeus were sourced from an organically farmed vineyard in Elgin which is one of the few areas in the Western Cape where Chardonnay enjoys sufficiently cool conditions to produce good acids for a sparkling wine. Elgin has a big diversity in soil types, but this particular vineyard consists of Table Mountain sandstone, which imparts a minerality to the wine. 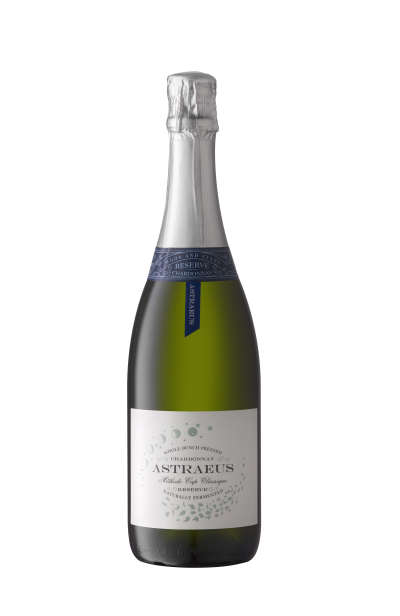 To add more complexity to the wine we back blended 15% of our 2009 MCC Chardonnay into this wine. The grapes for this 2009 vintage derived from our Chardonnay vineyards, which are rooted in sandstone soils and lend a beautiful flintiness. The grapes were harvested by hand at a lower sugar level to keep the fresh acidity. From there we cooled it down overnight and pressed it in our basket press the following morning to ensure a soft extraction. Primary fermentation took place spontaneously in older 600L barrels where we kept it on the primary lees for 9 months. From there we bottled it under crown cap for the seconday fermentation and left it for 2 years to mature. At disgorging we did a minimum dosage addition and kept the wine for a further 6 months before releasing it. The nose of this MCC Chardonnay is pleasant and inviting with biscuit notes and some ripe stone fruits. Complexity on the palate with green apple and biscuit. Fine acids give the wine a good structure. It can be enjoyed on its own or with some classic red fruit desserts.